Are you experiencing a water service interruption? Unplanned water interruptions usually occur due to a leak or burst in a water main. Changes in rainfall, temperature, water pressure and ground movement can all cause water pipes to leak or burst. 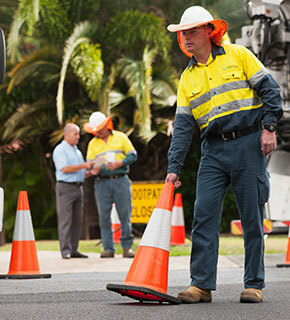 We constantly maintain and upgrade our network to minimise the number and duration of outages. or if you have further information which may assist us to locate and repair an interruption sooner. We apologise for any inconvenience caused by unplanned water supply interruptions. There are currently no water service interruptions reported in this region. To report an interruption, call 13 23 64 (24/7).